A Homegoing Celebration for Mrs. Mary Louise Barnes Ball of Tampa, FL who passed away on Thursday, November 29, 2018 will be held on Saturday, December 15th, 11:00 am at New Progress M.B. Church, 3307 E. Shadowlawn Ave. Pastor C.R. Bachelor, officiating and Pastor A.L. Wingfield, eulogist. The interment will be in Rest Haven Memorial Park Cemetery. Mary was born February 1, 1933 in Pensacola, Florida to the late James Arthur Barnes Sr. and Elizabeth Clack. The family moved from Pensacola to Tallahassee, Florida and worked as sharecroppers when she was a child. The family joined Testerina Primitive Baptist church where she accepted Christ. She attended Leon County Public Schools and graduated from Lincoln High School. Mary relocated to Tampa, Fl. in the 1950’s where she met and married Robert P. Ball in 1962. They were married for 42 years. Although they had no children of their own, they raised 1 niece and 2 nephews as their own; Brenda, Carey (Sonny Jr.) and Louis Barnes. Mary was one of the original members of New Progress Missionary Baptist Church. She was a devoted member and served as a Deaconess, sang in the choir and was an usher until her health declined. Although she could no longer attend church she remained faithful in giving her tithes and offering. She looked forward to the Deacons from the church coming to her home to give her communion every 1st Sunday. Mary was employed at Saint Joseph’s Hospital for 26 years and she retired in 1996. Mary made her transition on Thursday November 29, 2018. 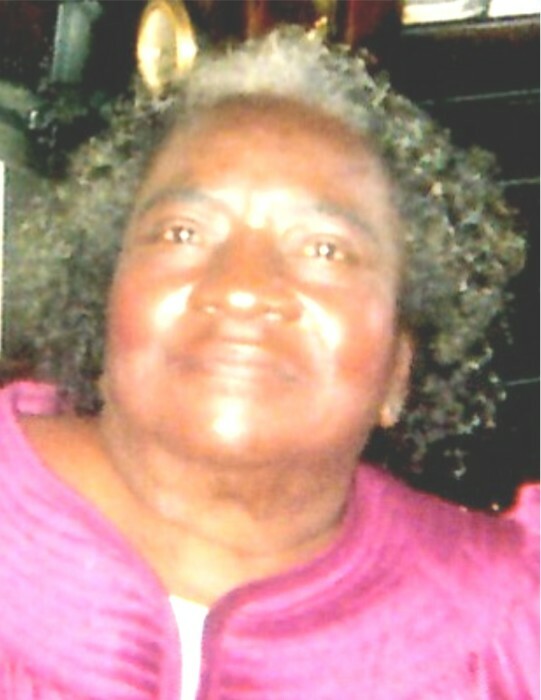 She was preceded in death by her husband, Robert P. Ball; brother, James A. Barnes Jr., sister, Vernell Barnes; nephew, Reginald Barnes, nieces, Regina Barnes and Mary Barnes Davis; great-niece, Jai Best and brother-in-law, Willie. She leaves to treasure her precious memories, 2 brothers, “Best friend” Carey (Sonny) Barnes Sr. and Walter (Jaboe) Barnes, Tallahassee, FL. ; nieces and nephews, Bettye Belinfantie, Williams T. Barnes (Amy), Brenda Roberson, Carey Barnes Jr., Louis Barnes (Jacquelyn), Alvin Walker (Sherry), devoted niece and caregiver, Bershauna Moore, Anthony Moore Jr.(Vernisha), John H. Roberson III, ESQ. ( Peregrina ), Joey Barnes (Ebonie), Jyra Barnes, Jaquel Barnes, Randolph Ashley, Johann Best II, Jamiyah Smith, Josiah Davis. great-grand nieces and nephews: Aniya Baker, Anthony Baker II, Anquan Baker, John Roberson IV, Malcolm Roberson, Morgan Barnes, MacKenzie Barnes, Sasha Ashley, Reagan Ashley, and Johann Best III; god-daughters, Tammy Combs and Cheryl Reed and a host of cousins; close friends, Mrs. Janice Williams, Ms. Juanita Howard, Mrs. Rosa Austin, Mr. and Mrs. Johnny and Patricia Bartell, Reggie and Rose Brown, Charles and Cynthia Henry and Betty Harmon; special neighbors, Pastor Alvin Wingfield and wife, Diane and family and Melody Johnson and family. The visitation will be held at Aikens Funeral Home on Friday, December 14th from 5 to 7 p.m. The family will receive friends from 5:00-7:00 p.m.The family and friends are asked to meet at the church on Saturday for the service.